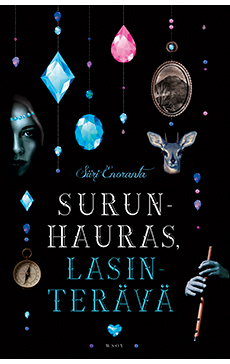 Siiri Enoranta (b.1987) is highly awarded author of YA/Crossover fiction. She is counted among the main torchbearers of Finnish literature of today. Enoranta’s imagination and storytelling create wonderful, complete fantasy worlds, with complex and strong female leads. 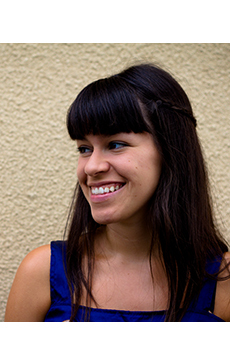 She is also credited for her skillful approach to relationships and awakening sexuality within the YA/crossover genre. Enoranta’s writing is praised as Earth-shatteringly good, linguistically beautiful, dazzling, stylish, enigmatic and dramatic. 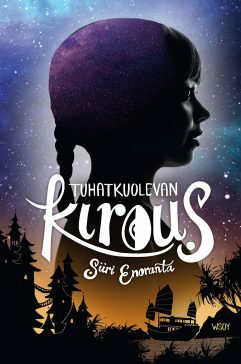 Siiri Enoranta’s 2018 title The Burning Dark (Tuhatkuolevan kirous, WSOY, 2018) is the winner of the prestigious Finlandia Prize for the Best Children’s/YA title of the Year. The Burning Dark is her eight novel. In October 2018 Siiri Enoranta won the WSOY Literature Foundation Award 2018, the award is an acknowledgement of her literary works, to date. 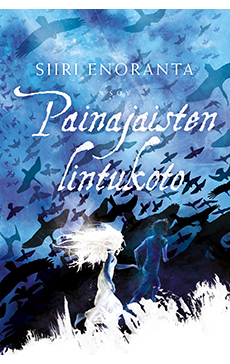 Her work The Peculiar Life of Josir Jalatva (Josir Jalatvan eriskummallinen elämä, Robustos, 2017) was nominated for the Kuvastaja Prize in 2017.Her 2015 title The Sorrow-deer Tamer (Surunhauras, lasinterävä, WSOY, 2015) won the Topelius Prize and and was also shortlisted for the Finnish Literary Export Prize and the coveted Finlandia Prize, as was her debut title Monarch of the Omenmea (Omenmean vallanhaltija, Robustos, 2009) in 2009. Her second title A Broken Child Sleeps (Nukkuu lapsi viallinen, Robustos, 2010) was awarded the Tampere City Literary Award in 2011 and her move into the adult fiction in her third title The Death of Giselle (Gisellen kuolema, Robustos, 2011) was duly noted with a nomination for the highly-acclaimed Runeberg Prize in 2012. 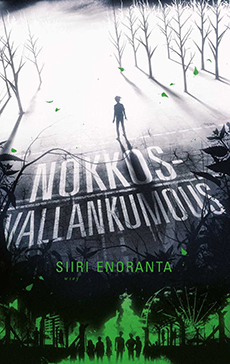 Sweet Haven of Nightmares (Painajaisten lintukoto, WSOY, 2012) was nominated for the Kuvastaja Award in 2012 and The Nettle Revolt (Nokkosvallankumous, WSOY, 2013) was awarded the Tampere City Literary Award in 2013 as well as nominated for Topelius Prize and for Kuvastaja Award.